A precise, full circle software application solution for prescription medicine usage and monitoring to prevent addiction is a step forward to solving a national problem. The logo works well static and animated in a circular motion. 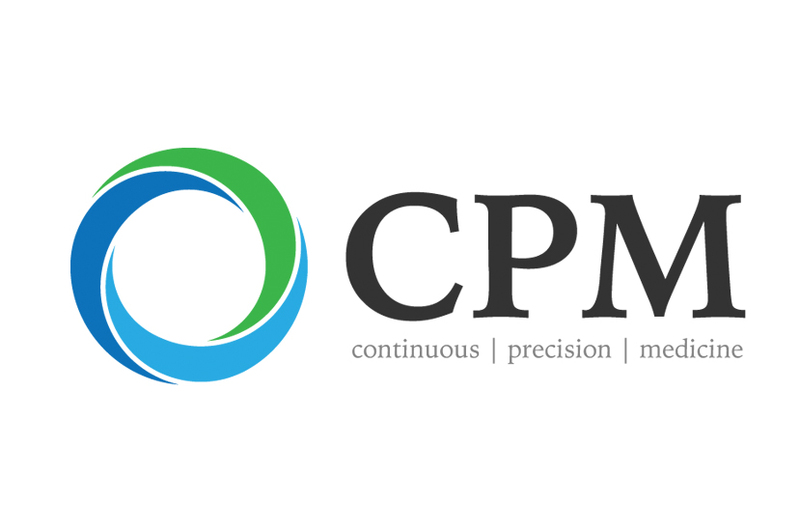 The Continuous Precision Medicine logo helps indicate the progressive nature of this company. Continuous Precision Medicine is engineering tools and services to combat one of the most costly and emotionally damaging issues in healthcare, opioid addiction, so their logo needed to be professional, sophisticated and clean. It needed to reflect the innovative and ground-breaking mission of this company. This was the solution we created.